Last month a movie called Fences came out starring Denzel Washington and Viola Davis. This naturally caught my attention and then I realized it was based on a pulitzer prize winning play of same name by August Wilson written in 1983 and I got more excited. Then I found out that Pioneer Theater Company here in Utah was doing a production of the play at the same time the movie was released. So I thought it would be fun to see both the play and movie and compare/contrast them. I was going to do a video analysis but the truth is they ended up being so similar I didn’t have much to go off of. Nevertheless, let me profile both as there is still plenty of time to see both if you are interested. Fences Summary- Before I go into both versions let me give a quick plot summary. Fences is about a black man named Troy in the 1950s. He has a wife named Rose and 2 sons- one from his relationship with Rose who is high school athlete named Corey and another who is a vagrant musician. Troy resents pretty much everything about his life. He believes he was robbed of being a professional baseball player because he was black and so everything has become about duty and obligations to him. The story goes over the course of 6 or 7 years as Troy makes selfish choices that impact his marriage and family. The whole time he is building a fence that is an analogy to his building fences on the inside and his attempts to scare away death. 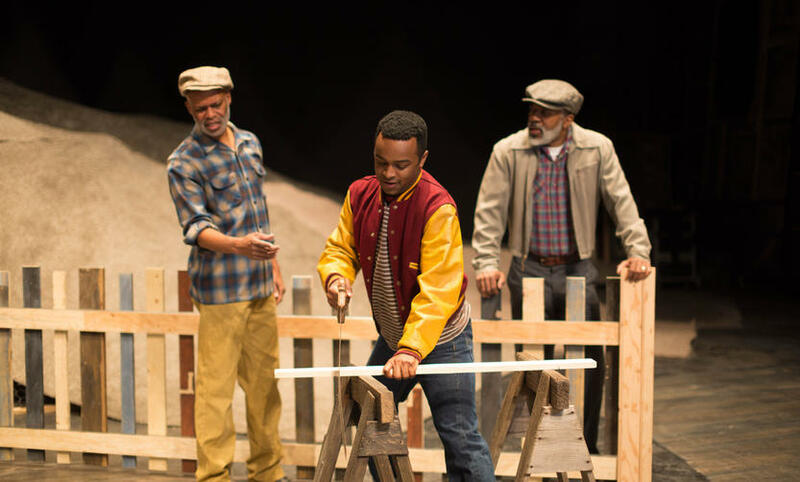 The Pioneer Theater Company’s production of Fences stars Michael Anthony Williams as Troy. He originally played the part of Troy’s friend Bono in the original broadway production, and he is up for the task here. My only qualm with him is I don’t know if he is physically imposing enough for the role. He doesn’t seem like an ex-athlete and for what a beast he becomes there is something that always feels a little slight about his appearance. The part of Rose is played by Gayle Samuels and she is very good. I don’t know if she is quite Viola Davis good but who is? I kind of wish the play gave a bit more time to Rose. There are a couple of dialogue sections between Troy and his buddy or son that I think could be swapped out for more time with Rose. She is the one who has to adapt and forgive the most so I kind of wish I saw more of her. JJ Jeter plays the son Corey and he is fine in the role. There is a final scene between Corey and Rose that he pulls off quite well as he is struggling to forgive his father and fighting off the amount of his father he sees in himself. 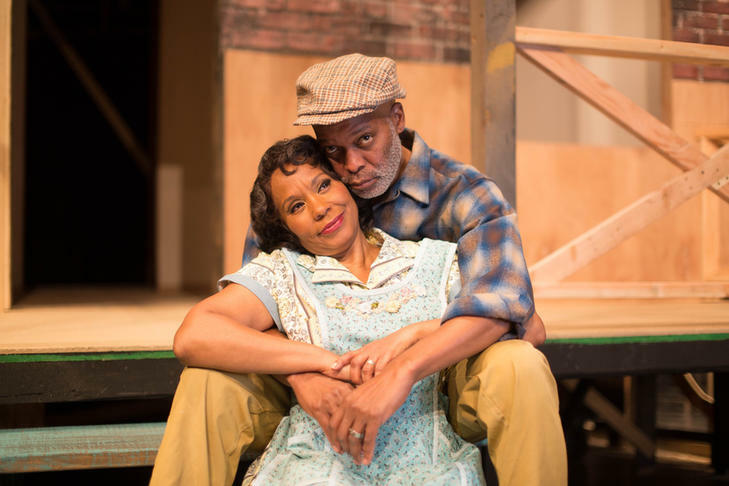 Fences is a very intimate experience as a play. There are only 6 actors in the cast and the set is the front of house with a yard and tree. It never changes aside from the ever-growing fence. At Pioneer Theater Company it looks convincingly like a real house with a kitchen inside you can see through the door. I also thought the tree looked very realistic. The play in comparison to the movie feels a bit brisker and maybe that is just because I saw it second so I knew what was coming? I’m not sure because they are nearly identical in content. If you take kids to this play be forewarned they do use the ‘n word’ and there are mature topics like infidelity discussed. I don’t know if I have ever seen a more faithful stage to screen adaptation than the recent film version of Fences. Pretty much the only difference is they can have a few more sets as opposed to the constant house-front of the play. They on occasion actually go in the house in the movie! Other than that, they are exactly the same. The dialogue is exactly the same in the same spots with the same characters. At least to my eyes they were. So it comes down to the cast. Denzel Washington plays Troy and he is more believable than Williams as the bitter ex-athlete. He feels intimidating and I think part of that may be the ability of film to get up close and personal with a character that you can’t in a stage play. Jovan Adepo isn’t that great as his son but in a way that works because it makes Troy seem all the more dominating and controlling. I mean this kid doesn’t stand a chance against his Dad! If you watch this clip I think you will agree Denzel owns this kid actor. Viola Davis is amazing in the role. Even though I still wish August Wilson had written more dialogue for Rose, Viola makes the scenes she does have so powerful. It feels like Rose is in more than she actually is and has more dialogue than she actually does. A particular scene between Rose and Troy where she says “I’ve been standing right here with you” is unforgettable. The rest of the supporting cast is all good and feels like they know the parts from a Broadway production. I particularly liked Troy and his friend Bono played by Stephen McKinley Henderson. They had nice chemistry together. For some people it will be a little bit tough to sit through a movie that feels like a play. There’s something about the way dialogue is done in a play that can be an adjustment for a movie and that won’t be for everyone. So I recommend Fences but I suppose just know what you are getting into when you get your ticket. It’s basically a play on the big screen but a good one at that with great performances. I’m curious after reading those 2 summaries/reviews which experience sounds the most appealing to you? Which would you like to attend? If any of you in Utah get to see both let me know what your thoughts are. As there are many wonderful theaters here in Utah I hope to do more of these compare/contrasts in 2017. 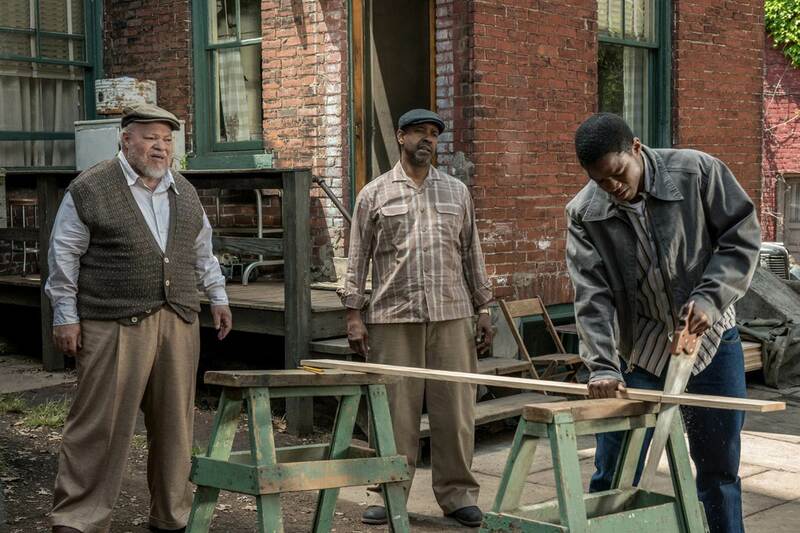 Hopefully most of them will be a little more different than these versions of Fences but I enjoyed seeing both. 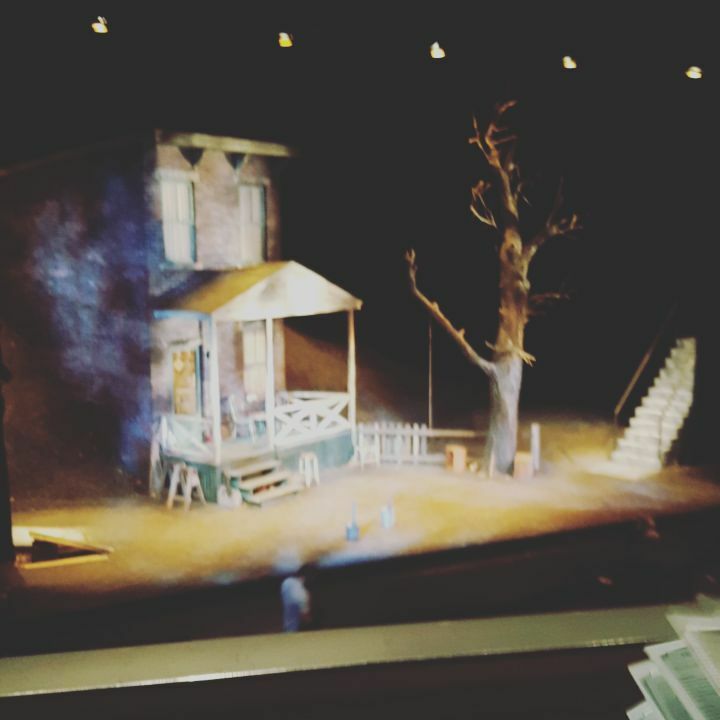 Over on my personal blog I compare a local stage production of Fences with the recent movie.